Choosing pond plants, how hard can it be! …Right? It turns out there is more to know about pond plants than you would expect if you want to choose aquatic plants that flourish in your pond, as well as complimenting and encouraging a healthy pond eco-system. Garden pond plants promote a beneficial habitat for your fish, encourage other wildlife to your garden, and they bring colourful, vibrant aesthetic satisfaction to your garden. There are typically four categories of water garden plants; Bog Plants, Marginal Pond Plants, Submerged Plants and Floating Pond Plants. Each variety of fish pond plant has a further sub-category, 'Hardy' pond plants and 'Tropical' pond plants. Hardy plants are perennial, meaning they are long lasting or continually recur year on year. Tropical plants are annual plants, so they will typically last one year. As much as you want to create a healthy, green habitat for your pond fish and provide them with shelter and shade from the elements, it is important to remember not to go too overboard. Although fish do require shade and shelter to thrive, ponds must also have exposed surface water to allow fish to come to the surface when needed. Many fish are also known to eat water plants, so it is worth to find out plants your fish prefer to eat to create the best possible home for them. The most critical deliberation for blooming water plants for ponds is to weigh up the size and depth of your garden pond. 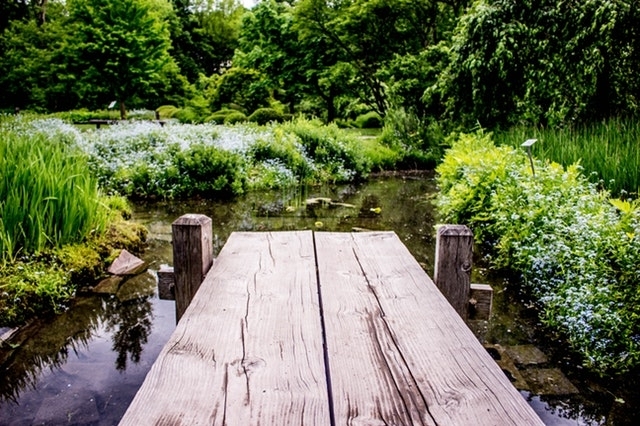 If you have substantially sized pond, you will have much more of free rein on the size of water plants that you can invest your money and time in. On the other hand, if your pond is teetering on the smaller side, it is best to spend your money on water plants for a small pond. 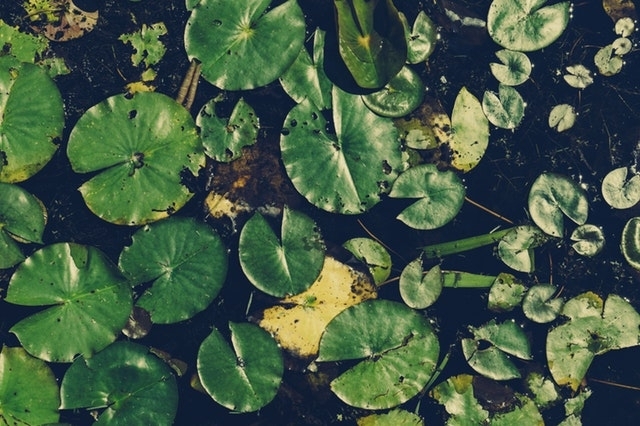 Bog plants belong in zone one of your garden ponds. Zone one is the pond side and the damp, marshy ground around your pond. Bog plants love the moisture that your pond can provide, but they are unable to survive in water. Therefore, zone one is the perfect damp and muddy hotbed for bog plants. You can plant bog plants on the edge of your pond, and they can tolerate their roots being wet; however, it is preferable to keep both the roots and foliage in the muddy bank areas only and plant them in a way they cannot slide into your pond water. Due to the fact that bog plants consume zero water surfaces, they make the ideal small pond plants. 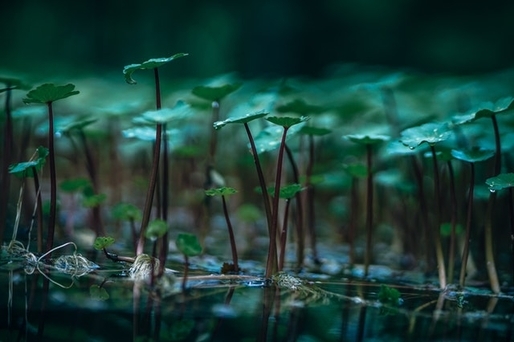 Similarly to bog plants, marginal plants also grow around the shallow edges of your ponds, but they can tolerate much more water, usually up to 6 inches. Marginal plants primarily grow in zone two of your pond, but there are deep marginal plants that thrive in deeper waters in region three of your pond. Zones two and three, where you sow marginal pond plants, are the shallower edges of the pond and you should plant marginal plants in aquatic planting baskets when possible. You can buy tall marginal plants or smaller, marginal flowering plants, ideal regardless of the size of your pond. Submerged plants, also known as oxygenators, have all of their foliage fully immersed in the water, as the name suggests. An oxygen plant can live anywhere from zone two to five of your pond depending on the size of the plant. The oxygenating pond plants should perch on a pond shelf that is deep enough for that specific plant to sit below the water. 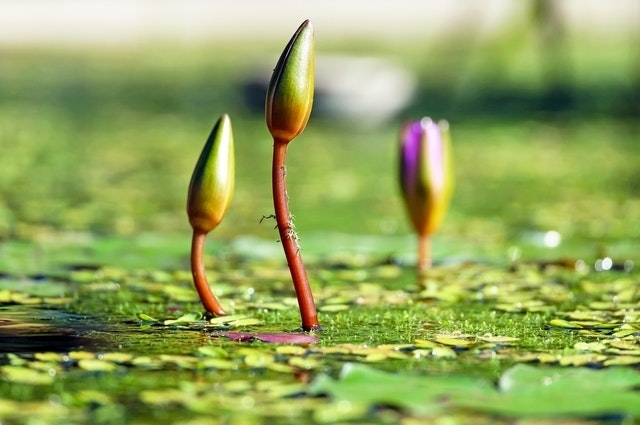 There are two categories of submerged pond plants, underwater plants and emergent water plants. Underwater plants grow with all of their foliage under the water level, whereas emergent pond plants can thrive with foliage either below or above water level. Submerged plants grow at rapid rates, so planting too many can overwhelm your pond and its water surface so you must be careful. As indicated by the name, floating aquarium plants float on the surface of the water. Floating pond plants don't need anchoring to your pond via aquarium planters; they should be left to free float, and they are some of the best water plants for small ponds. Floating pond plants are ideal for protecting your fish from direct sunlight and also for preventing algae growth on your pond's surface. With that said, it is recommended to cover approximately one-third of the surface of your pond with floating aquarium plants. Floating pond plants are perfect for big ponds, small ponds, shallow or deep, and they are just as easy to remove when they are dying as they are to insert.